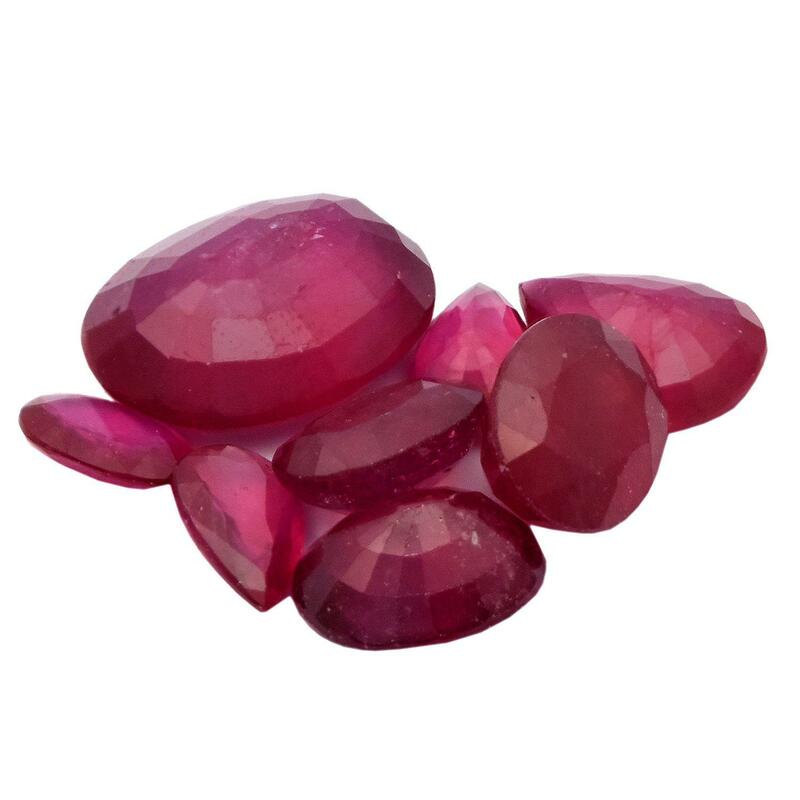 Numerous multi shape, multi size, natural rubies with a minumim total weight of 18.00ct., clarity is heavily included, type II, medium dark, very slightly brownish, slightly purplish red color, (GIA slpR 6/3), cut is good. Transmitting light somewhat diffusely, transparent to translucent. Naturally occurring internal & external characteristics are present. Indications of laboratory high temperature heat treatment, with glass & flux additives. Color grade is an average for the group. Ruby has a low tolerance to rhodium plating, repolishing the surface, & ultrasonic cleaning.